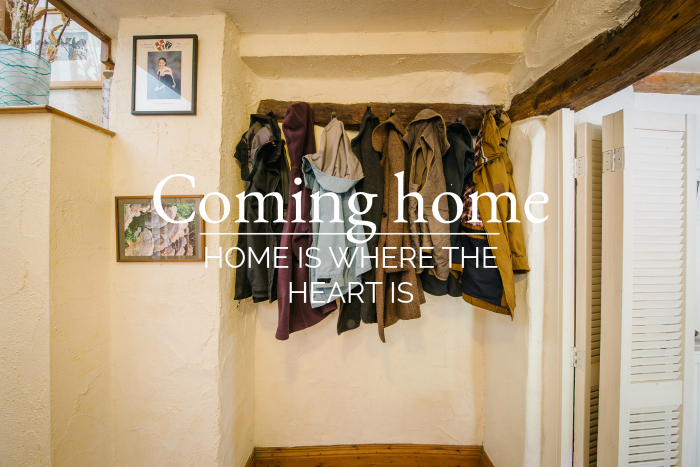 So you’re thinking about moving home. How exciting! Perhaps you’re planning a move to a larger house that fits your family better, or maybe now your children have flown the nest, and it’s time to move into a more appropriate-sized home. Or it could be a job move that’s prompting you to take the plunge. Regardless of your reasons for moving house, you firstly need to make sure everyone is on the same page. If one partner is very attached to the lovely family home that they have enjoyed for a decade or two, they may be rather hoping it WON’T sell. In fairness, they may not even realise that they are sabotaging the sale; perhaps by not remembering to tidy up after themselves, forgetting to pass on messages from the estate agent, or deciding to cook a curry the night before a viewing. This may be totally subconscious, of course, but no less effective at deterring a potential buyer for that. Same goes for teenagers: they can be really effective at sabotaging a sale if they are reluctant to move away from friends and perhaps the home they grew up in. best to clear the air beforehand, arrange a family meeting, and have a frank and honest chat with all the family, to make sure you understand everyone’s respective point of view. 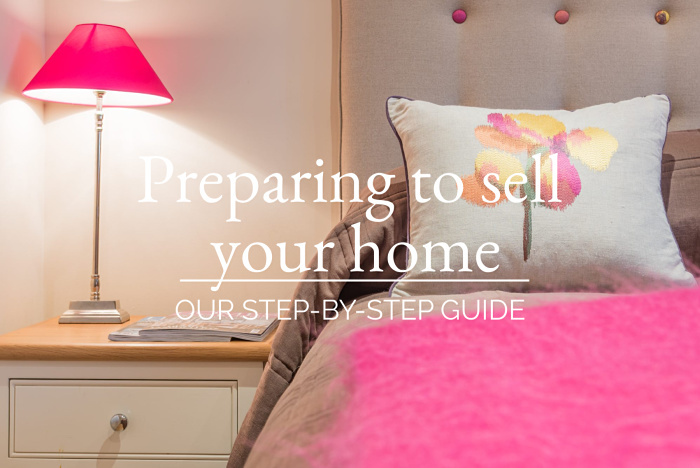 When you’re about to put your home on the market, it could be time to have a big clear-out – not literally, but emotionally – to make sure nothing is consciously, or unconsciously, sabotaging your sale. Step Two: Find out the current value of your home. There are many online valuation tools on the internet, but until your local expert estate agent has given you their opinion, guided by experience and knowledge, you won’t really know what’s realistic to expect. We’d love to help you out with that. Even if you’re not quite ready to move, getting an up-to-date valuation of your home will help you make an informed decision when the time comes to move on. Just pop us an email at team@wainwrightshomes.com or call us on 015394 88811; we’d love to hear from you. What’s the date you’d really like to be in your new home? Perhaps you have a deadline, like a job start date, a school term or an impending new arrival. But even if you don’t have a specific date in mind, chances are you don’t want to spend months, or longer, languishing on the market, so planning for an ideal timescale can be helpful. Sale process – the conveyancing time: in other words, the time it takes the two solicitors to complete the sale. Let’s estimate these realistically, so you can plan your move. Of course, the unknown timescale is the number of weeks or months that it could take your home to sell, but let’s take the average as a guide. Pre-launch – this is the time to fix that leaky tap, repaint you garden gate, and generally attend to all those little maintenance jobs you may have been putting off. Once you’re ready to put your house on the market, your estate agent needs to photograph it, prepare your floor plan and property description, and finally, upload your property advert to the relevant portals. Marketing time – the average house sale in the UK takes between seven and fourteen weeks, according to TheAdvisory. However, if you have a home you regard as unique – like a listed property, a thatched cottage, or an exceptionally large house – it may take much longer to sell. Your estate agent will be able to guide you on this, based on their experience of selling similar homes. Sale process – conveyancing in the UK takes on average, around ten weeks, from offer to completion (handing over your keys). However, this time frame does not take into account any delays caused by surveys, particularly if you have a leasehold property, or one with special covenants attached. Also, long property chains can hold things up, but a good agent will help expedite this process, by maintaining good communication with all parties as the sale progresses. Taking all of the above into account, you may find that planning for a six-month timescale is about right, but your estate agent will give you their best advice based on the market, current demand and your particular type of house. Planning this far ahead will leave you ready for the curved balls that will inevitably be thrown your way, and make sure you remain unstressed and feel fully prepared. 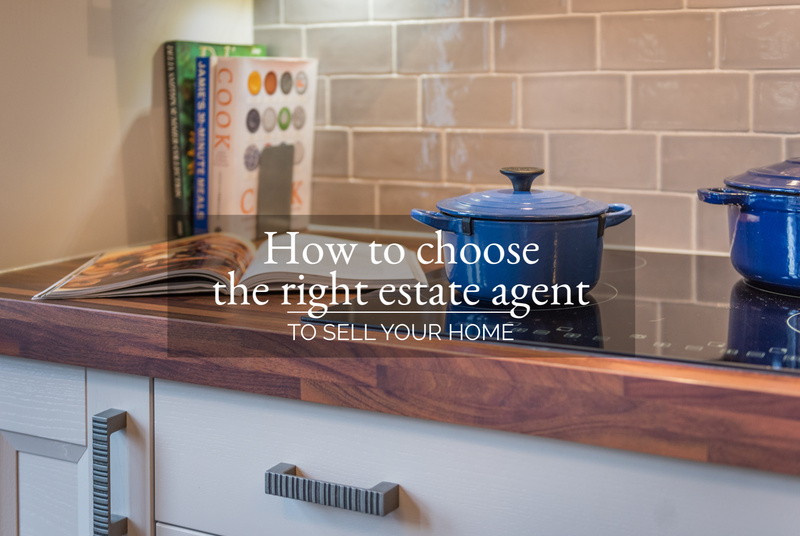 If you’ve chosen the right estate agent, prepared your home for sale and chosen a realistic asking price, selling should be the next natural step. Try to enjoy the process, look forward to your move and focus on the goal of your lovely new home. If you’re selling your home – or thinking of it, we’d love to have a chat with you. You can pop us an email at team@wainwrightshomes.com or call us on 015394 88811, we’d love to have a chat. Previous StoryShould you look before you sell? 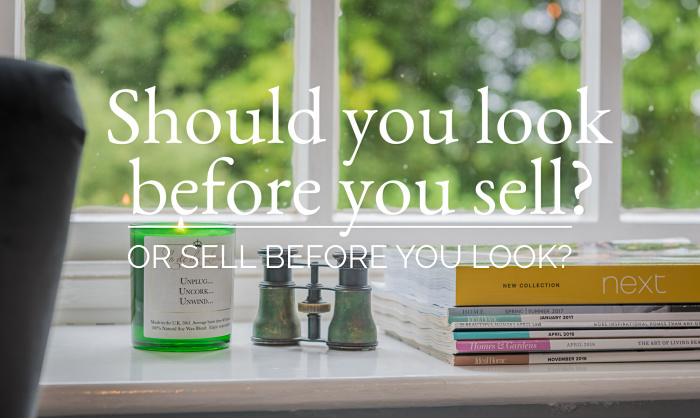 Should you look before you sell?